Whew! We are in a beautiful room on the Columbia River in Portland Oregon. The sun even came out to make things look even better. We left Elma yesterday after a delightful continental breakfast in the lobby of our hotel. The coffee sucked but they did have hazelnut flavoured Coffeemate. (Yes, I counted the extra calories but ignored the chemical content).The orange juice was nice but the apple didn’t taste like much so I had a cinnamon raisin bagel. Who needs a food journal if I tell you everything I ate. It was raining but we had already booked a hotel (booking.com) and thanks to my trusty TomTom, we made it to Portland. Gotta love the I5. We did stop in Toledo at Mom’s Place for lunch. Very homey, where the waitress knew the names of the customers and made us feel very welcomed. What I had was not good for me but delicious so I will save it for the journal as to not embarrass myself. It was a little confusing to get off the highway to get to the hotel but the GPS even showed me which lane to be in. It was literally on the other side of the bridge from Vancouver, Washington (not to be confused with Vancouver, BC. Man, did that George Vancouver get around or what?). We have driven this highway many times going to California and Nevada and have seen the Red Lion Hotel by the river, but I never thought we would stay here. The website gave us a decent deal and when we checked in and Victor found our reservation he upgraded us to the top floor with a great view of the bridge, the river and the courtyard with the pools and all the blooming rhododendrons. We had some time so I thought we would get some shopping done. I looked up Target, Walmart and KMart to see how close they were and we were off. The TomTom took us back up over the bridge to Washington then along the south side of the river, back over the river and off to the wilderness and there it was: KMart. We don’t have KMarts anymore in Canada but I knew I could get cheap clothes in my size for summer. Norm and I both did. I love it when I could even get a cheap (I mean inexpensive) bottle Yellowtail for later (wink, wink, nudge, nudge). The drive back to the hotel was half the time and we never had to cross the river again. Weird! 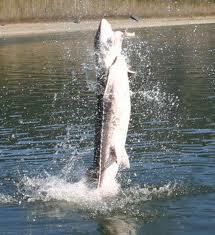 The sturgeon we had for supper? dining room by a woman who asked if we were there to see the Salsa competition. We looked at each other, paid $10. and got our hands stamped. Yep! We spent a few hours watching lessons, recreational dancing and a competition. Wow, can some of those people dance! 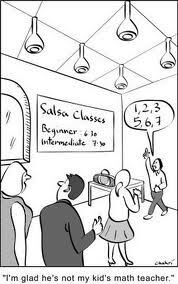 They were all getting great aerobic exercise to some wonderfully spicy music. The only bad part was that Norm and I couldn’t dance. I could not think of one way you could do Salsa with a walker. The outfits on the women were everything from skin-tight jeans to tiny, very tight, dresses. Sigh, it’s nice to see that large bottoms have a distinct advantage in this form of dance. It was a wonderful way to spend our anniversary night and we didn’t get back into our room until midnight. Enough of that! ~ by 1fatgirlshrinking - Diane Kirby on May 22, 2012.